Consulting clubs - get informed, get connected and get casing! Consulting clubs – get informed, get connected and get casing! This is part 2 of an article we wrote on consulting clubs way back in the day. Part 1 laid out options for MBAs, undergrads, and other students to get consulting-related work outside the classroom. For a refresher, read it here. Now we take a deep dive into consulting clubs on campus – with links to clubs at top U.S. and international colleges and b-schools. At a minimum, consulting clubs provide networking opportunities and speaker series presentations to their members, while some also offer resume and cover letter guidance and interview prep resources. For example, some schools publish resume books for potential employers and casebooks with cases from the prior year that students use for interview practice. Mentoring programs like the one at Columbia Business School are great for students who put the time into building a relationship with their mentor. Mentors provide guidance, support, and insight into your personal journey into consulting, through their own lens of experience. Case competitions like those offered through the Duke Consulting Club are prime opportunities to enhance your consulting skill set and prepare for case interviews. They’re also a great way to impress a firm – especially when you have to go through a rigorous selection process to grab a spot on the competing team like a Berkeley Haas undergraduate does. Clubs that carry the most weight on your resume are ones that actually perform consulting services for companies and organizations, like Stanford Consulting and Yale Graduate Student Consulting Club. When you can show that you have been exposed to real client interactions and actual business problems, not just theoretical ones in the classroom or in a competition, you’ve set yourself apart from less competitive candidates. If you get it from nowhere else, turn to your consulting club for industry insight – what’s it like to be a management consultant, which firms are hiring, what to expect for your first-year salary, etc. (or read all of our posts here at MC!) Clubs are usually tied into consulting professionals at global and boutique firms and have a solid foundation on business issues of the day – we guarantee that at any social event you’re at, you’ll be unable to avoid nerdy discussions on the best and worst CEOs and business strategies of the moment. If you’re considering applying to MBA programs and have a list of target firms in mind, pay attention to the consulting club’s corporate sponsor list, as well as employers included in the alumni network. If you attend a school with a strong recruiting presence at your firm of choice, you’re setting yourself up for success. 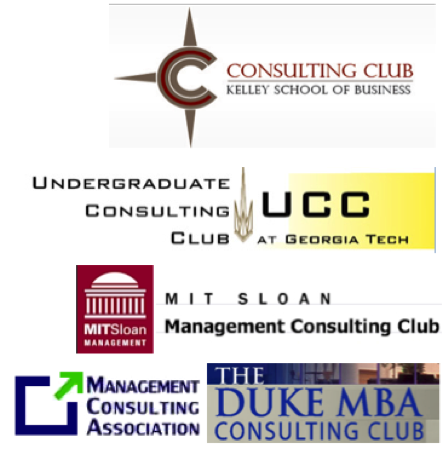 Below are 4 lists of consulting clubs – at undergraduate schools in the U.S. and abroad, as well as at MBA/graduate programs in the U.S. and abroad. Most of these clubs are also on Facebook and Twitter, so if you’re interested in a particular club, be sure to follow their social media sites. No worries if your club isn’t on this list – email us to add it! We are building a comprehensive database of contact details just for consulting clubs, so make sure we have your latest contact details. This month we launched our affiliates program for consulting clubs. What does this mean? If your consulting club signs up with us, a percentage of the proceeds for anything that you or your club members purchase on our site will go back to the club to fund your activities. Is your club signed up? Check with your officers or email us to see. In addition to our affiliate program, there are other ways to get involved with us. 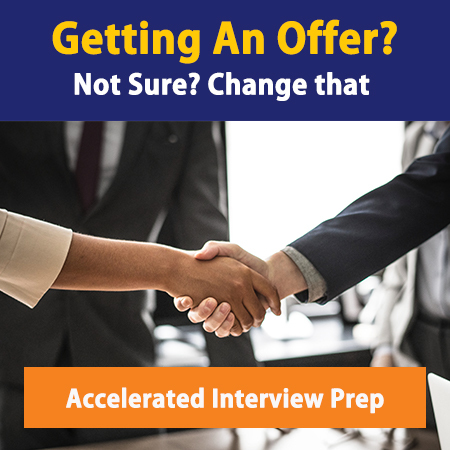 Participate in one of our interview blitz weekends or sign up for our bootcamps – we have 2-hour bootcamps especially for consulting clubs, as well as 1-day and virtual courses. Has your club done something cool or interesting this year? Keep us posted on your consulting club activities by posting them to our Facebook page or as a comment below. If you think your story is good enough for a feature post, email us!